On Saturday, Iranian Defense Minister Hossein Dehghan announced that the country's authorities could allow Russia to use its Nojeh airbase near the western city of Hamadan for Moscow's aerial operation against terrorists in Syria if the situation in the crisis-torn Middle Eastern nation demanded it. "If the situation and conditions [in Syria] demand to provide the support, we will do this job," Dehghan said, as quoted by the Tasnim news agency. Later in the day, the Russian upper house of parliament's defense committee chair, Viktor Ozerov told RIA Novosti that Russia could use Iran's airbase if the Admiral Kuznetsov aircraft carrier, which is used for anti-terror strikes in Syria, moves away from the Syrian borders for a new mission. "Russia might need to use the airbase in Hamadan if the Admiral Kuznetsov carries out another operation and is not be able for carrying out airstrikes against terrorists in Syria," he said. Commenting on Iran's announcement, Russian political and military analyst, associate professor at the faculty of Social and Political Sciences of the Russian Higher School of Economics Alexander Perendzhiev told RIA Novosti that Russia can now use the base on the hotel principle: sleep over and move out. However its longer-term prospect is to rent it for several years. "Iran is ready to provide its military base to Russia as a guest facility, not on a fixed basis. It is like in a hotel: move in, sleep over, move out," he explained. The analyst however suggested that Tehran is ready to meet Russia's operative and projected needs to use this stopover base to better carry the joint fight against international terrorists in Syria. "The statement says that the Iranian military and political leadership is ready to change the country's legislation (which currently forbids the deployment of foreign military bases and military contingents on its territory) so that Russia could use the facility on a rental basis," he said. "I think, for five years to start with," he suggested. 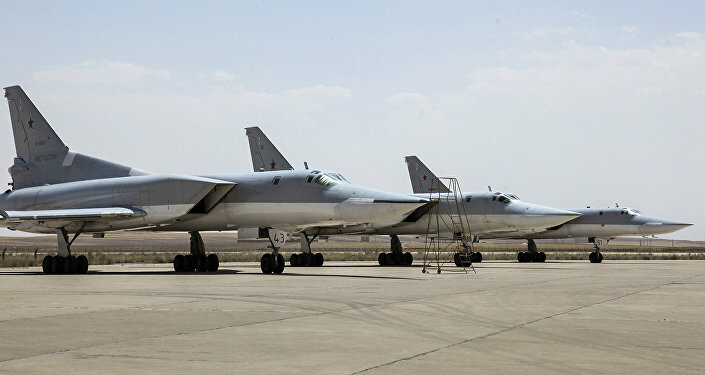 Iran allowed the Russian strike force to operate from the base in the Hamadan province in mid-August. The jets returned to Russia a week later, after completing their anti-terror mission, which targeted jihadists in Syria. However Tehran then announced that it suspended Russia's use of the facility. No foreign power has based forces in Iran since World War II. Russia became the only country to be granted the right for the first time in more than 70 years.